519 925 2293 and please remember to leave a message. If you need to schedule quickly email is the best option. I will do my best to fit you in. You may also Skype me. My Skype name is gracepetals. I am a Certified Psychic Intuitive counsellor, Certified Life coach and Certified Past Life Regression Practitioner. I specialize in relationship concerns and career challenges. I am LGBT friendly. I connect quickly with your first name and birth date. I do have mediumship abilities, and will bring through a message from a loved one you seek to communicate with. I have studied spirituality and metaphysics since the 1980's with many teachers and mentors. I began to use my abilities over 25 years ago, while working in the Correctional and Mental health areas. My empathic abilities have expressed since a very young age. I have also experienced two near death happenings, one at age 2 and the other at age 27. I have a very clear memory of both, and the messages expressed to me. The importance of my path in this lifetime and my purpose was shown to me both times. You will find me to be a very genuine, honest and truthful Psychic Intuitive. I have a background in Counselling, am a certified Conscious Evolution Coach, certified Reiki healer for both humans and animals, Touch for Health, Certified Past Life Regression Practitioner, have over 30 years of astrology interest, condensed aromatherapy course, and crystal/semi precious stone applications. I am able to give you clarity in relationship situations, career decisions, health concerns, and many other areas you are seeking answers. I will provide future predictions up to a year, and can give time frames. I use few tools during your readings. "The name “Gracepetals” was given to me during a Grace workshop several years ago. I was shown an image of petals of Grace, gently falling from the sky. And in turn, releasing them to the intended. I receive messages from Ascended Masters, Archangels, and other dimensional beings and of course Source. I am a relationship and emotional healer. I am a Reiki healer (for both people and animals) and can assist to remove blockages and facilitate Chakra clearings. I use few tools in your readings and insights. I generally begin with your first name and birth date to connect to your energy. Your specific questions will ensure detailed answers. I then ask for my guides to begin. I am simply a conduit for the information to be presented to you. I will be given verbal messages, are shown images and impressions of your situation. I am able to offer time frames for you. I can offer you distance Reiki healings, along with your pets. Does your loved pet have something to say to you? Let us explore! Please note: for an animal reading or healing I do require a current photo that shows a clear image of the animals eyes. Animal communication can ONLY be done via email. I establish the connection and continue viewing the photo while communicating with the animal. Please allow at least 72 hours for your pet's reading. Fee is $50. I do connect quickly to your energy. You will find me to be very compassionate and one who does deliver the truth as it comes through. That is why you are here, isn't it? I will provide you with a very honest and sincere direction to your inquiry. It is important to remember that we all have free will, and the energy you bring is where you are in this moment. The future is based on probability. I had a reading with Lynda a few months back and it was my first time ever speaking to a psychic. I was hesitant at first but the things that Lynda knew about me with only speaking to me for a few minutes was my first clue that she was the real deal. Its been a few months now and everything that she suggested/envisioned has come true (thus far). Lynda is easy to speak with and I am so glad that I reached out to her. I am grateful that I did. One of the best psychics I have ever read with hands down. 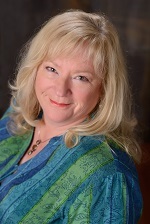 Lynda has a beautiful soul and a beautiful way to connecting with her guides that give you direct and honest answers to your questions! I have called Lynda and had sessions with her a few times now and she has always been correct from the beginning even when I would doubt it sometimes! She’s accurate and the real deal ! She’s definitely my go to and She’s the best! AMAZING!!! I have had couple of readings with Lynda and she is spot on with everything. She is real and very great at what she does. She gives you great advice and helps you with your situation. The reason I came back for another reading is what she told me the first time was true even though I couldn't see it at the time. She's honest and will tell you what she sees and the details she gives you about people and situations just amazes you. I am a believer and will be talking to her again. Lynda is the real deal. She is kind, compassionate, professional, empathetic, impartial, sincere, and honest. I have come to Lynda for over 3 years during the best and worst situations possible. She has provided me with honest insight to my problems and accommodated the best she could to my busy schedule. Her gift is true and her abilities surpassed anything I ever expected. I will continue to seek her guidance for years to come. Lynda is authentic, compassionate, on target, and honest. I appreciate her wise counsel, direct answers,and caring nature. I highly recommend Lynda Hallet. Thank you. Lynda has been reading for me for the past year and has been very helpful in providing me information in regards to my career and in my relationships. She's been correct on many topics and about folks I've asked about. She's very sweet and I really enjoy her style of reading. I highly recommend a reading from her! thanks Lynda! I contacted Lynda through the Instant Reading function of Bob Olson's sight as I had been out of work for a few weeks and needed guidance. Lynda shared I would obtain a new job via a recruiter in early November. November 1st is exactly how it it turned out. Thank you Lynda for bringing me peace of mind and spirit! Lynda is a kind and very talented person. She has been able to advise me in a manner that is so on point it is stunning. She is a wonderful intuitive and coach. I highly recommend Lynda. I plan to keep Lynda in my life as she has been able to assist me in navigating very difficult life changes. I would encourage anyone to reach out to her for assistance. I have had two readings with Lynda. The first one was an hour long and the second one was 30 minutes. I have done readings with multiple psychics before hers, 5 to be exact, and I found her to be the best out of all of them. She will not waste your time, she is direct but empathetic and non-judgmental, she is very clear in her readings, and she will guide you to help improve your situation or get the result you want. I am very impressed with how much she is able to see. I'd like to thank Lynda for her genuine interest in helping me.Her accuracy and compassion is apparent when using her gifts to guide me to a better path and give me that sense of comfort that I am supported.I can sense Lynda's keen desire and honesty in wanting to help me through some challenges and questions I have faced...And I am happy to say that I have received great feedback from friends and family members who have seen her upon my recommendation and continued to seek her guidance. I have had the pleasure of having a reading for myself and for 2 of my dogs. When lynda read me she was amazingly accurate, I would recommend her to anyone. When I learned she also does animal communication I was very excited to have her read my two dog, the results were amazing. she knew things only I would know about their behaviors,personalities and habits I was blown away with the readings. Highly recommended for sure. Excellent reader, and counsel. Has helped me get through some situations and she has provided compassionate advice while tuning in accurately to the situation. Highly recommend. I've had many readings with Lynda over the past two years on a variety of questions - everything from relationships to work-related challenges, to pets and a house sale, etc - and have always found her to be amazingly detailed and accurate in her reading of every situation, and able to provide such clear, compassionate and practical advice, that I leave every reading feeling immensely reassured and with clarity about my path forward. I highly recommend her to anyone seeking guidance. Gracepetals is kind, sincere & accurate. She's able to very quickly identify with your questions without needing tarot cards or support tools. Gracepetals is Highly recommended in my books. She is Honest and Accurate with the information that she gives. She is informative and has always been an amazing help to me with any of the readings I have done with her. She is always willing to offer advice when needed. I was floored by a reading I had with her where she was able to connect me with a lost one as well. Provided comfort in a time where it was needed. I would not hesitate to recommend her and I plan to return for my own readings!! !